Robots navigate a pre-defined course dealing with various obstacles along the way. Waypoints may be marked with objects that the robot must touch or come within a specified distance. The robots will be guided primarily by GPS and vision systems. Robots will be fully autonomous, but do not necessarily have to be self contained, i.e. it is ok to have a laptop with a wireless or even wired link to the robot. For the initial versions of the contest, we’ll keep things simple. If things go well, we’ll consider follow up contests with tighter rules, scoring and options, etc. To find out when we meet next, check the “What’s new” section of the main page. All robots performed perfectly and got full points. Since the previous competition went so well, this time we put some obstacles between the waypoints. We had a trial run Saturday June 14, 2008. Most of the robots were not yet ready to deal with obstacles. During the summer, we met every weekend or every second weekend to work on our robots. In addition to getting the robots around the course and avoiding obstacles, most of us were working on vision to find the orange cones. We’re using Roborealm running on netbook computers. During the summer, we meet every Saturday to work on our robots. 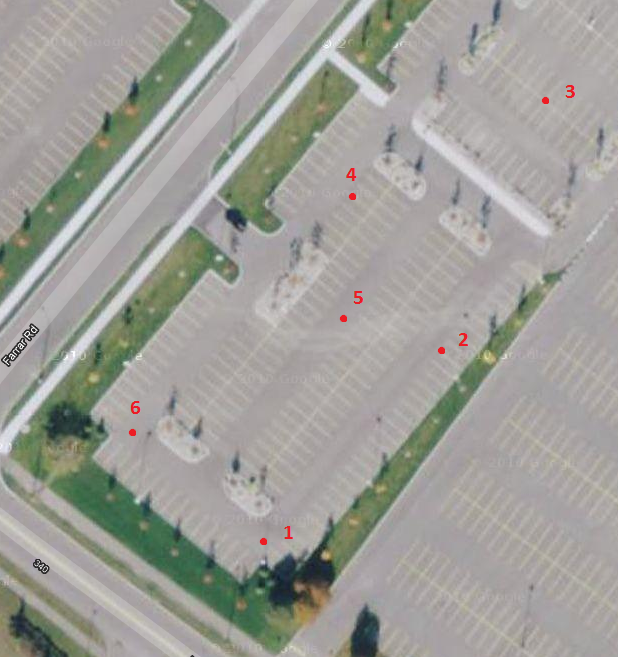 The location is now the parking lot just to the south-east of the older parking lot. Robots begin near waypoint 6. The beginner class runs waypoints in the order 1->2->4->5->6. Advanced runs waypoints 1->2->3->4->5->6. A new robomagellan racing class will run 1->2->4->6. Prior to the contest, contestants will have the opportunity to load waypoint and path data to their robots using techniques of their choosing. Contestants may make any changes as they see fit between runs. Contestants may not touch or interfere with the operation of their robot once a run has started. If this happens, the scoring for that run will be halted. Robots may use GPS, compasses, and any self-contained sensors or apparatus. This excludes the use of differential GPS. If there is any inadvertent interference with the robot (such as by a spectator, stray animal or unforeseen circumstance), then the contestant will be allowed to re-start the run with no penalty. The robot must stop at the completion of the run. Waypoints will probably be spaced about 15 – 30m apart. There will be a maximum of 10 points in a path. 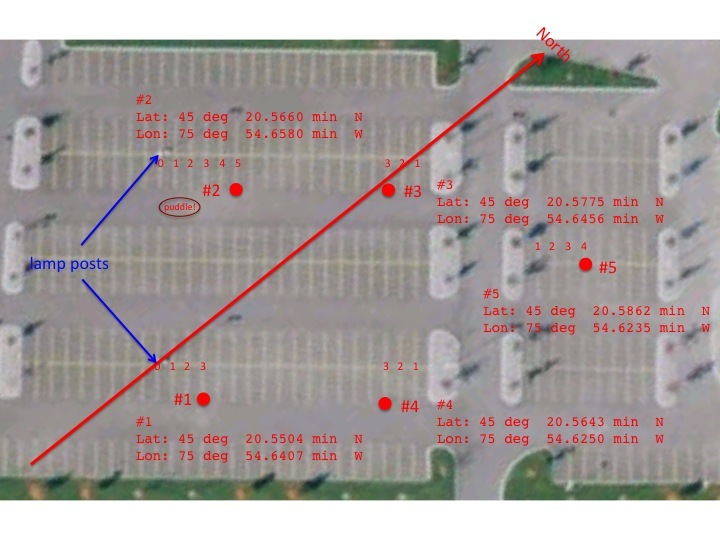 Each time a robot navigates to a waypoint, and stops within the 3-meter radius from the waypoint, 1 point will be added to the score for that run. Each robot will be run 3 times. The highest score of the 3 runs will be taken as the contest score. The highestscore wins. Robot runs will take place in a round-robin fashion, i.e. Robot # 1 Run #1, Robot # 2 Run #1, Robot # 1 Run #2, Robot # 2 Run #2, etc.